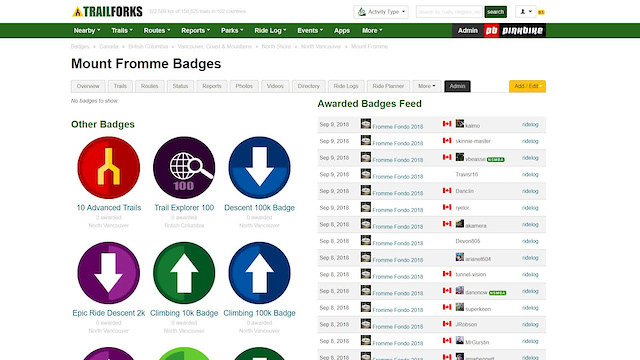 Badges are a fun way to get people riding more and exploring your trail network. Trailforks auto-generates several generic badges for city regions around the world. Then region admins can create custom badges for their region with some local flavor. Our ridelog badge system is robust with MANY criteria combinations available. Here is a quick video of the creation of a simple badge where the rider must ride 3 specific trails on a single ride to unlock.